Rokumentti Rock Film Festival 2011 says thank you! The year was a real success as we broke the previous attendance record by almost thousand viewers - that is simply amazing! Thanks to all the festival goers - you made the atmosphere unforgettable. See you all next year! 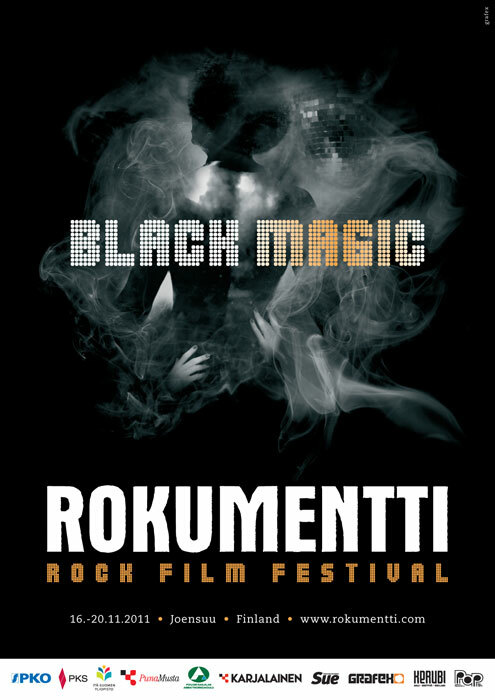 The 8th Rokumentti Rock Film Festival will be held from 14th to 18th November 2012! The screening of The Ballad of Genesis and Lady Jaye is sold out. The screening of William S. Burroughs: A Man Within is sold out. The screening of the film NY77: The Coolest Year in Hell is sold out. Wednesday screening of Exit Through the Gift Shop is sold out. Second screening takes place at Saturday 2pm. We advise to book the tickets in advace. The screening of the film Finnsurf is sold out. Screening of the film SK8 OR DIE is sold out. Both screenings of Loputon Gehennan liekki are sold out. Rokumentti reveals this year's theme movies! Black music is the subject of a record breaking 18 films, including the awaited Finnish premieres of Beats, Rhymes, & Life: The Travels of A Tribe Called Quest (USA 2011) and Lil' Wayne "The Carter" (USA 2009). Check out the whole setting on the Programme page. Rest of it will be revealed on week 42. Autumn has arrived and soon it's time for yet another Rokumentti Rock Film Festival. It takes place in Joensuu on November 16th �€“ 20th and contains five days of magical movies and groovy gigs. This year's theme �€“ Black Magic �€“ delves into the greatness of black music. Every music lover knows that all the best songs and hippest new musical genres have their roots in the supremeness of African-American music. The echoes from the streets of Bronx, clubs of Atlanta, cotton fields of Alabama and drums of Africa can be heard in musical genres from rock'n'roll to modern disco. And every time a new fashion is born or your head starts nodding to a beat, the thankful finger should point at Black Magic. Rokumentti's program, both movie and music-wise, contains soul, hip hop, funk, dancehall and reggae �€“ an exploration to the world of black music. But in the midst of all the celebration we should take a moment and get serious. 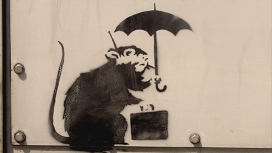 Rokumentti wishes to bring forth its concern about the state that the Finnish state is in. People's attitudes are tightening due to populist political rhetoric that is heating up the nation. We would like everybody to remember that the world is a global place and we're not alone in it. Different cultures make this planet much more interesting. Same goes for music. The Rolling Stones wouldn't have sounded the way they did without the long tradition of black music. Rokumentti's program will be published in October. Participate in Rokumentti and submit your own film, fiction or document to us. Email a brief description and the technical information of your film to moc.ittnemukor@aidem.